“Carnivale of Stars” at Hong Kong Disneyland Resort (HKDL) is bringing brand-new fun this summer! Guests can experience a rich line-up of excitement day and night, like the all-new atmosphere stage show “Moana: A Homecoming Celebration,” the “We Love Mickey!” Projection Show, and a new African-style Karibuni Marketplace. From June 21 to September 2, the seasonal program heats up with favorite Disney∙Pixar characters leading HKDL’s first-ever “Pixar Water Play Street Party!” – and be sure not to miss the opportunities to meet Mr. and Mrs. Incredible at the “The Incredibles Arrive!” Together with special accommodation experiences at the resort’s three uniquely themed hotels as well as shopping and dining offers, guests from the Philippines can enjoy “play, shop, dine, and stay” for a total Disney holiday experience. 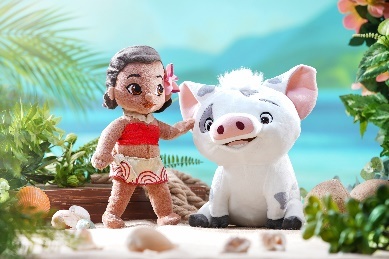 The first attraction of the resort’s current multi-year expansion, the new lively atmosphere stage show, “Moana: A Homecoming Celebration,” will be launched on May 25 in an entirely new exotic outdoor venue, Jungle Junction, in Adventureland. The heroine of the popular animated film, Moana, will invite guests to join her adventure in a 20-minute live show rich with inspirational music, dance, puppetry and immersive storytelling. Guests will be invited to participate and interact as Moana recounts her tale. Guests can also meet Moana in person, hear stories of her oceanic voyages, and share hugs and snapshots with her. Characters from beloved Disney adventure stories, including Carl and Russell from Up, Judy and Nick from Zootopia, King Louie and Baloo from The Jungle Book, Rafiki and Timon from The Lion King, Princess Jasmine and Genie from Aladdin and Lilo and Stitch will greet guests at the Karibuni Marketplace. For the first time, beloved characters from popular Disney∙Pixar films will make a big splash at the park in the “Pixar Water Play Street Party!”. From June 21 onwards, join Mr. and Mrs. Incredible from The Incredibles, Woody, Buzz Lightyear and their pals from Toy Story, along with other Disney∙Pixar stars in this water-based celebration. 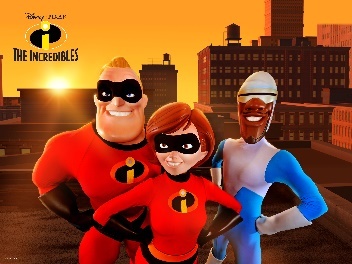 Together with more than 30 performers, they will ensure guests soak up a cool, water-filled summer celebration along Main Street, U.S.A..
With Incredibles 2 coming soon to cinemas, guests can catch up with their favorite super hero family in a series of unique, high-energy encounters as part of “The Incredibles Arrive!” in Tomorrowland! Mr. Incredible, Mrs. Incredible and Frozone will be riding their hovercrafts - all geared up and ready to have fun with guests! Lots of surprises will continue during the nighttime! Minnie Mouse and her pals are inviting guests to a surprise party for Mickey Mouse as part of Disney’s all-new “We Love Mickey!” Projection Show each evening. This new celebration transforms the buildings of Main Street, U.S.A. into a canvas for vibrant, colorful visuals that pay tribute to Mickey’s major milestones. The artistic experience features Mickey’s memorable classics, his full-color heyday and a crazy kaleidoscope of Mickey in modern styles. 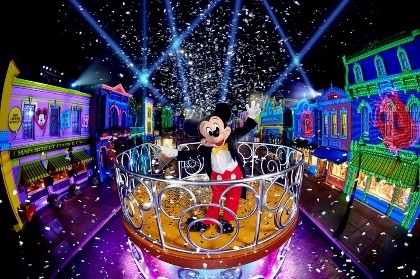 During the finale of the dazzling projection show, Mickey will appear in his finest attire to thank everyone for the fantastic surprise. It is a spectacle of color, music and visual effects that guests will want to experience again and again. The range of over 100 exclusive, summer-themed memorabilia at the park will be extended this summer to include new collections of Duffy and friends series with exotic fruit themes. Along with the debut of The Incredibles experience at the park, new souvenirs themed after the super hero family will be available for the first time. From plush toys to collectable Tsum Tsum, school bags, utensils and more, guests will find incredible keepsakes from the collection, and even acquire the super hero family look with a full range of apparel for the entire family. 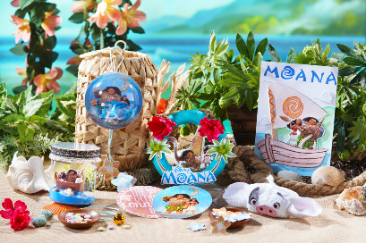 Specially designed Moana outfits and necklaces which look just like Moana’s in the film will also be available for guests to dress up like their favorite heroine. Guests staying at the resort’s three hotels will be able to join a host of fun themed activities. The “Adventures of Oceania” poolside party at Hong Kong Disneyland Hotel will immerse young guests in challenging games. A Disney friend is ready to have fun with guests at an afternoon poolside party at the Rain Drop Pool at Disney Explorers Lodge. Hotel guests can enjoy a multitude of immersive summer recreational pursuits, including Moana and Disney∙Pixar themed leisure activities. Young guests may also unleash their creativity by making exclusive Disney handcrafts like wind bell ornaments, plant decor and towel art. Taking summer magic up a notch, guests can have their hotel rooms decorated with the theme of The Incredibles for HK$600 from June 21 onwards. The room decoration package includes themed bed runners, slippers, door stickers, amenities kits, sweet delights plus two water bottles and a set of kid’s utensils – all themed after The Incredibles to deliver a magical and heroic stay for hotel guests. As well as heartfelt services and family-friendly facilities and amenities, the resort hotels offer exclusive privileges for hotel guests, making their magical Disney experience with their loved ones even more special. Guests staying at the resort’s hotels will receive at least one Priority Admission Pass for selected attractions, as well as the season’s exclusive souvenirs, including an amenities box, Disney slippers and door stickers. Guests staying at one of the resort’s three hotels can join fun activities throughout the day at all three hotels. Committed to creating memorable stays for guests, HKDL is introducing an all-new Express Online Check-in service in late-April, allowing guests to complete online check-in within 7 days prior to their arrival day to simplify the check-in process on arrival. Guests who want to spend a day at the theme park before checking into the hotel can also make use of the Luggage Valet Service to have their bags transferred to their hotel for a specified fee and make the most of their time at the park. 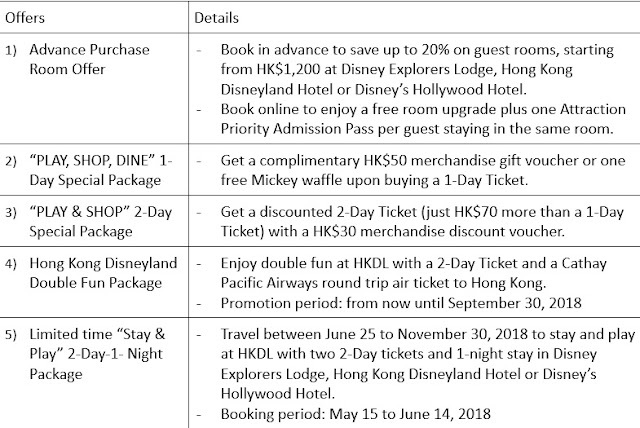 For details, please visit: https://www.hongkongdisneyland.com/offers-discounts/ and selected travel agencies. Terms and conditions apply.